Worth student Claudie Cooper performed superbly when playing two T20 matches for Surrey U17 Women’s cricket team at Banstead Cricket Club. 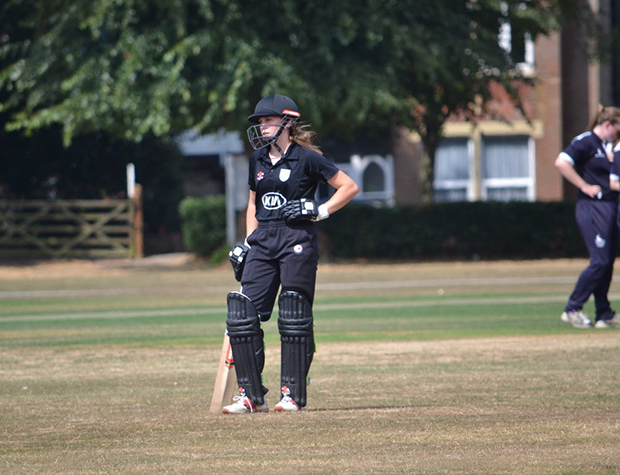 As well as a wicket and a slip catch Claudie – who will be going into Year 12 in September – scored 36 off 30 balls against Hertfordshire in the first T20. In the second T20 against Sussex, she went in to bat at 6-2, shortly followed by 13-3 and rescued the Surrey innings by scoring 57 off 50 balls. She also took a wicket in the Sussex innings. Well done to Claudie, who is in the 1st XI squad at Worth and is also a talented hockey player.